These Display Stands are made to fit the G.I. 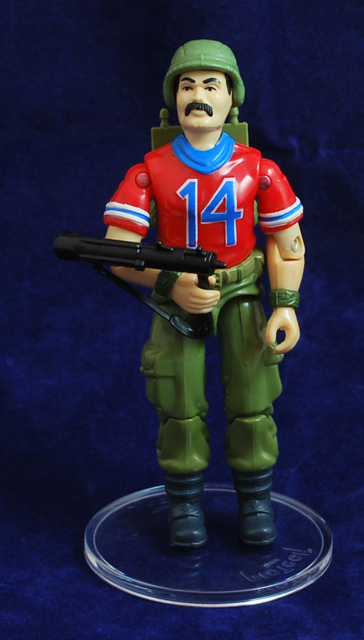 Joe action figures from the 80's, they also fit the Action Force figures of that era that had articulated joints. Less than 300 left, once these have sold it's unlikely anymore will be back in stock for some time.